Lionel Messi has been ruled out of Argentina's friendly against Morocco on Tuesday "as a precaution" after suffering a groin injury in the 3-1 defeat by Venezuela. The precautionary nature of the withdrawal means Messi should be fine for Barcelona's Champions League quarter-final first leg against Manchester United on April 10. The defeat by Venezuela was Messi's first match for Argentina in 265 days since the 2018 World Cup in Russia. 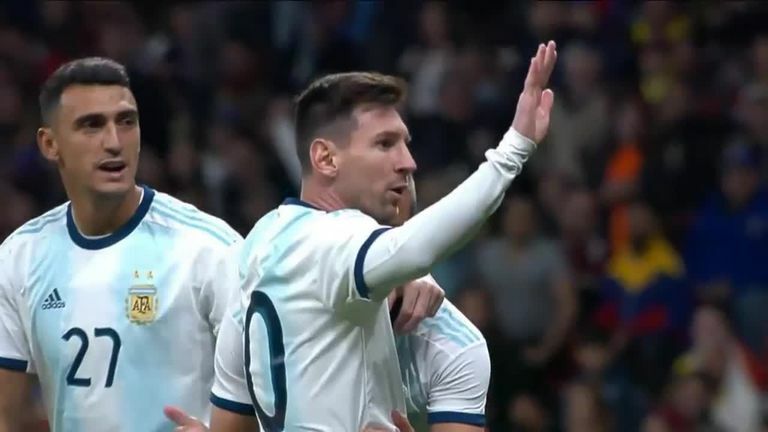 Argentina head coach Lionel Scaloni was optimistic after the defeat, insisting he saw promising signs that Messi can bring the best out of his national team-mates. "All the chances we created were due to the confusion he caused. During the second half we saw more teamwork from him. "Losing hurts, obviously, but this game has been very useful to see how players work with him as a group, how the others did, if the players that were expected to take a step forward did so. "We weren't satisfied because of the result, but we drew conclusions, there are players who can do beautiful things with him."